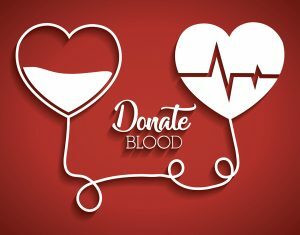 Central Arizona College will hold a blood drive at the Signal Peak Campus (8470 N. Overfield Road, Coolidge, AZ) on January 31, 2019. The event, sponsored by Phi Theta Kappa (PTK), will begin at 10 a.m. and run until 2 p.m. The Bloodmobile will be located in the visitor lot. As a thank you for giving blood, a voucher for one adult admission ticket to the Renaissance Festival will be given to blood donors. For additional information, please contact Heather Moulton, PTK advisor by phone at 520-494-5384 or email at heather.moulton@centralaz.edu, call 877-258-4825, or visit BloodHero.com (Sponsor code: CACSPC).